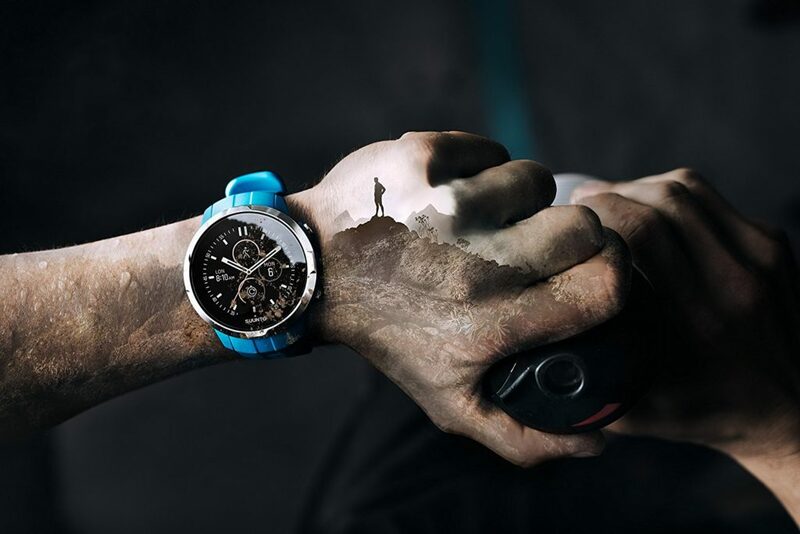 in the this article we will show you how to set up your Fossil Q Smart Watch with iphone. the process could be simple, and doesn’t even worth to be published as an article, but some people might have some difficulties doing it. I will keep it as simple as i can, so i hope it will be for you. so the first thing you have do, is simply plug the provided magnetic charger into a power source, then place the Smart Watch over it, and automatically the watch will power on, and get ready to pair. 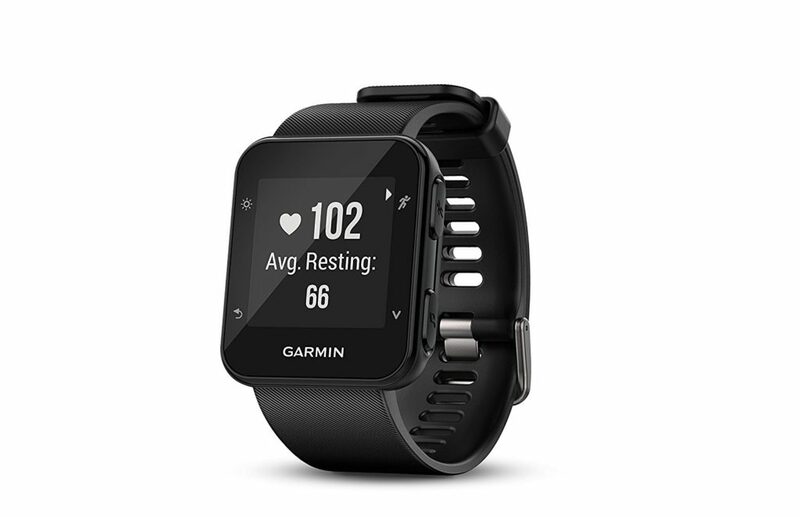 1-your smartwatch is connected to a power source. 2-the internet is active on it. 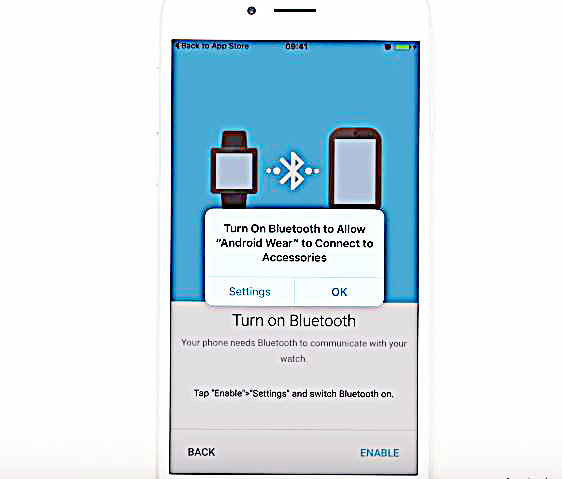 3-make sure the Bluetooth is active as well, then follow the steps that shown on your Smart Watch. 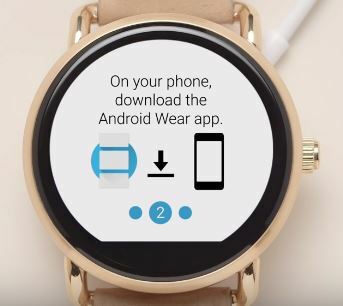 these are the three basic steps you should perform, before following the guide of How to connect the Fossil Q smartwatch with iPhone, and an case you’ve followed the steps, and didn’t work with you please leave a comment below, and i’ll answer your question as quickly as i can. 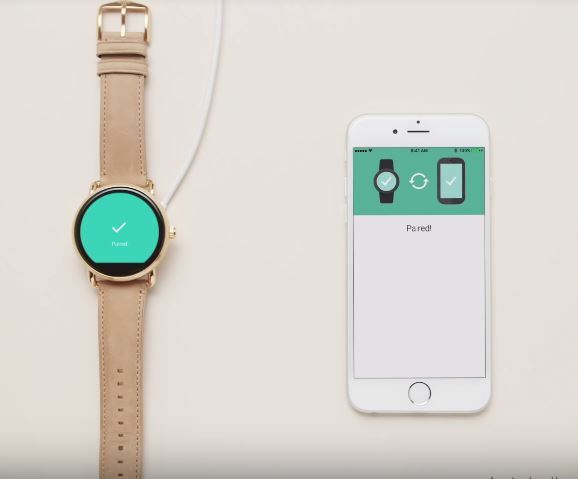 download the Android wear app from the app store, or from the official site of fossil, it will ask you to create an account, that’s why I recommend you to just go app store which you already have an account in. 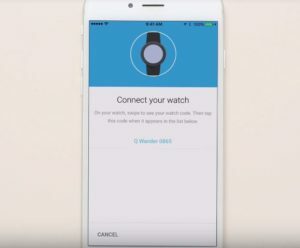 once you install the APP on your phone, it will ask you if you want to keep your phone, and your watch paired, click Accept. 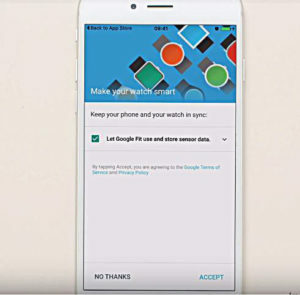 the APP will ask you to turn on the Bluetooth on your phone. 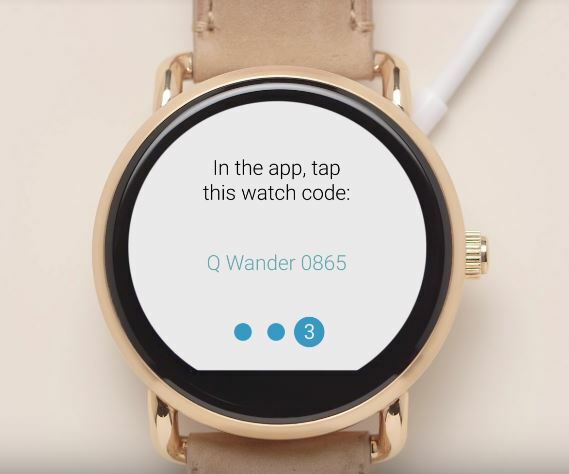 click enable, and a small window will prompt on your phone screen, click on ok to activate Bluetooth, and it will lead you trough screen which says: swipe on your watch to see the code. inside the watch screen you’ll see this code. and that’s all the steps you need to do, if you want to pair your fossil Q with iphone. and if you’ve followed the steps exactly as given above, then your devices should be paired now. 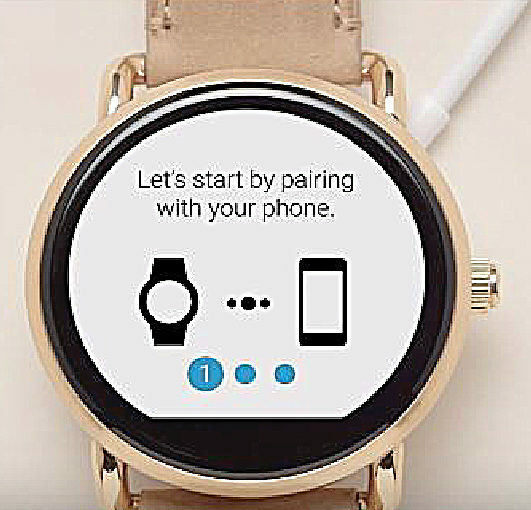 thanks for being here, i wish that the Guide of How to connect the Fossil Q smartwatch with iPhone was helpful to you, and if it is please share it with your friends on your preferred social media platform. oh, yah” make sure check out other articles below if you’re interested in.